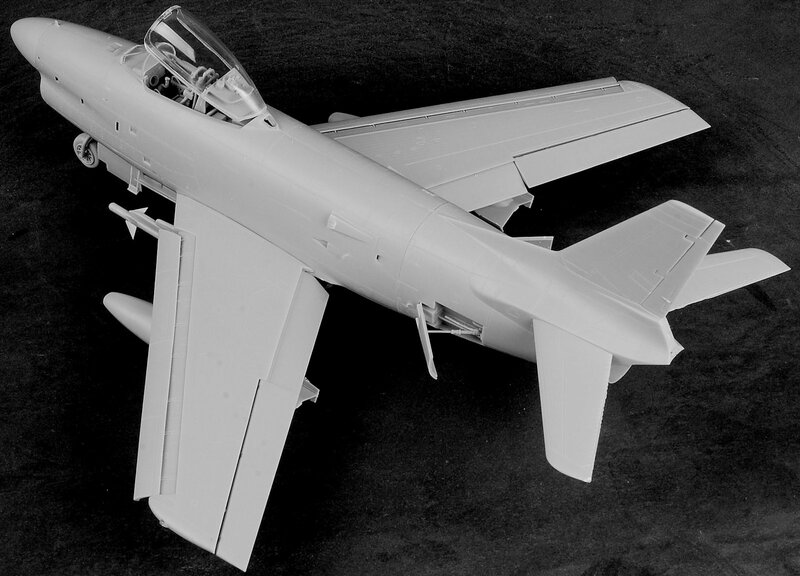 Who would have thought that a few years ago we would have this wealth of new subjects in large scale? 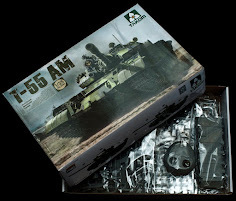 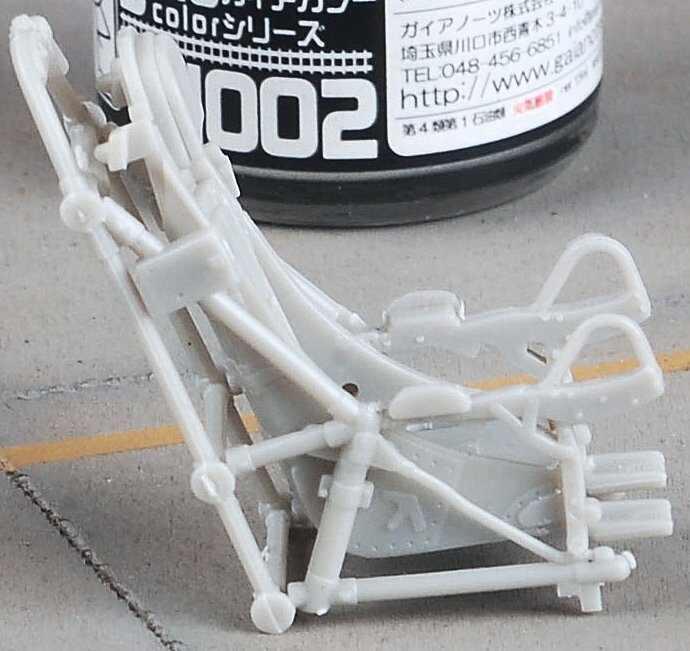 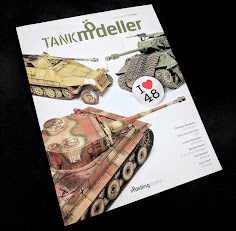 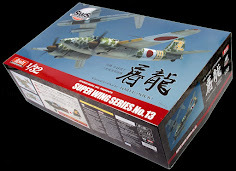 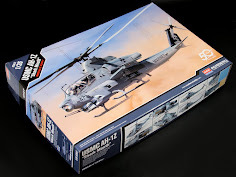 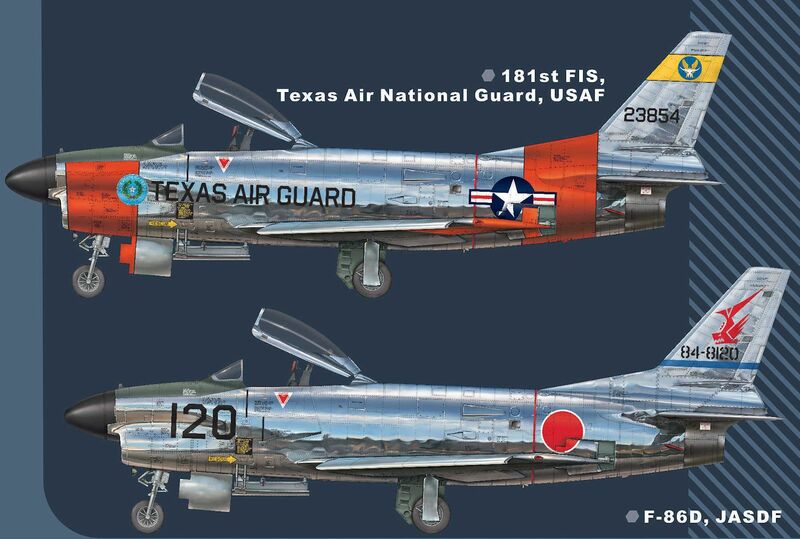 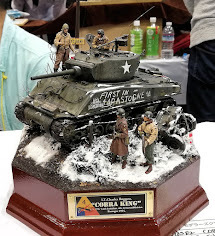 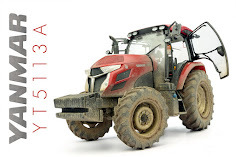 Tamiya and Hasegawa were scaling down their interest in 1/32nd kits and so there was a gap in the market. 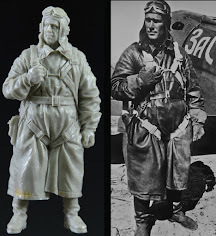 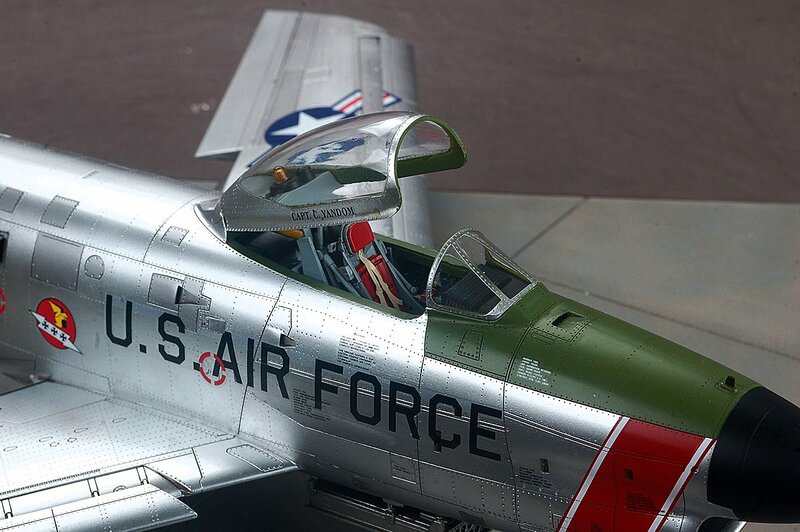 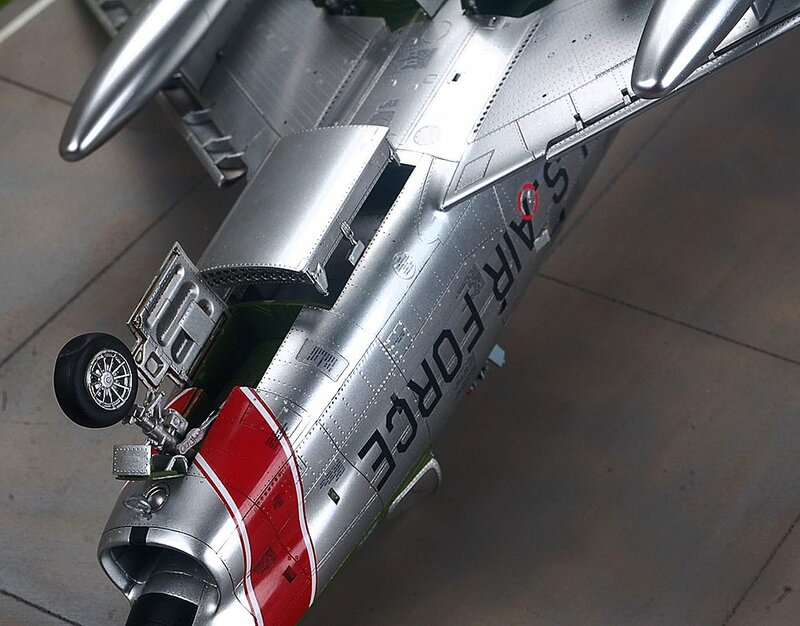 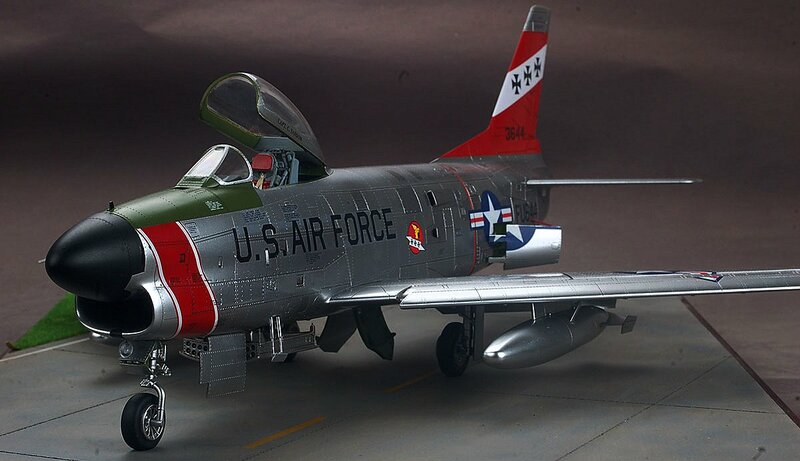 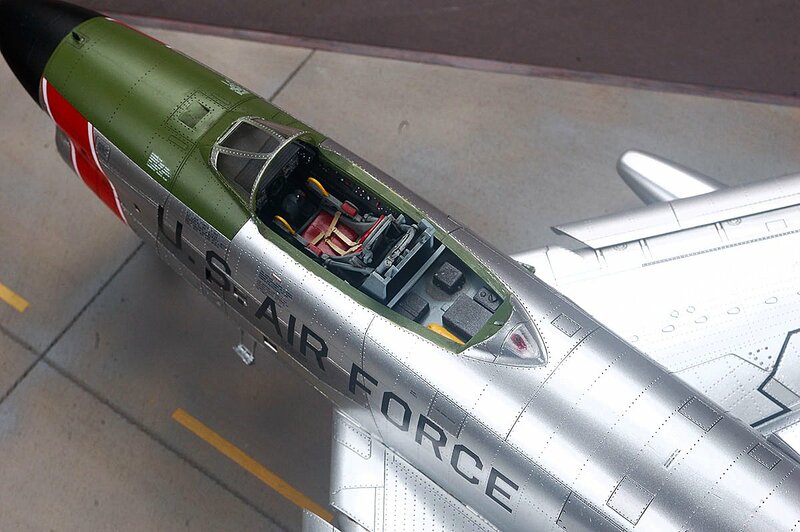 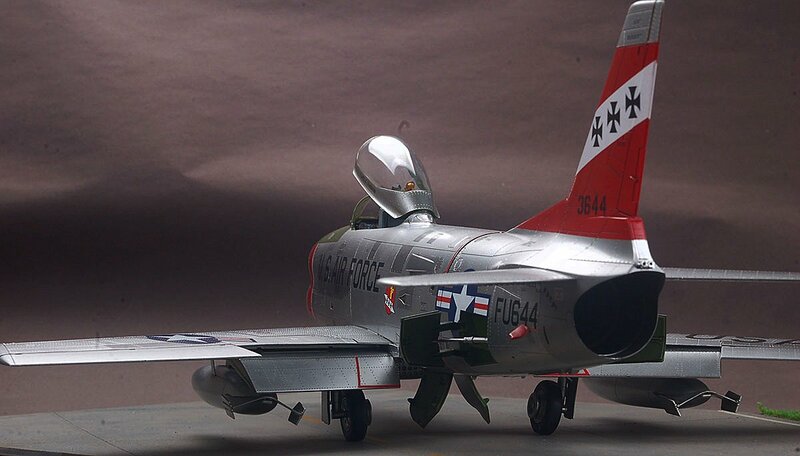 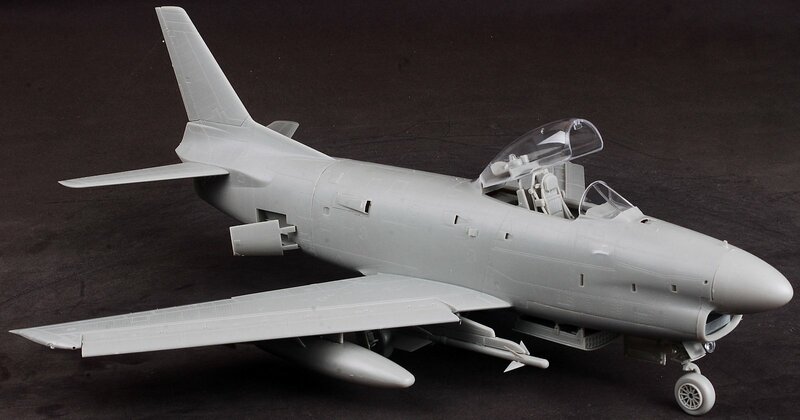 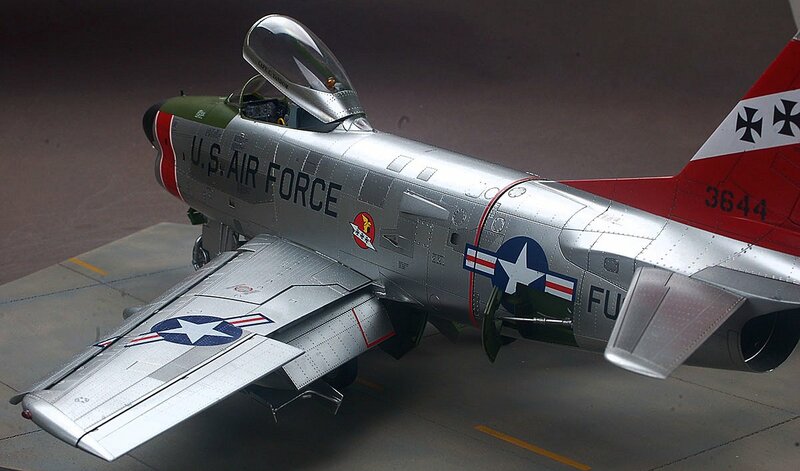 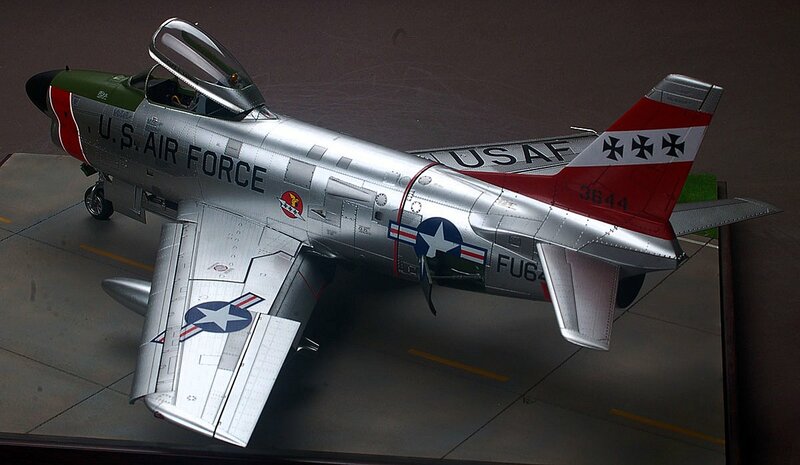 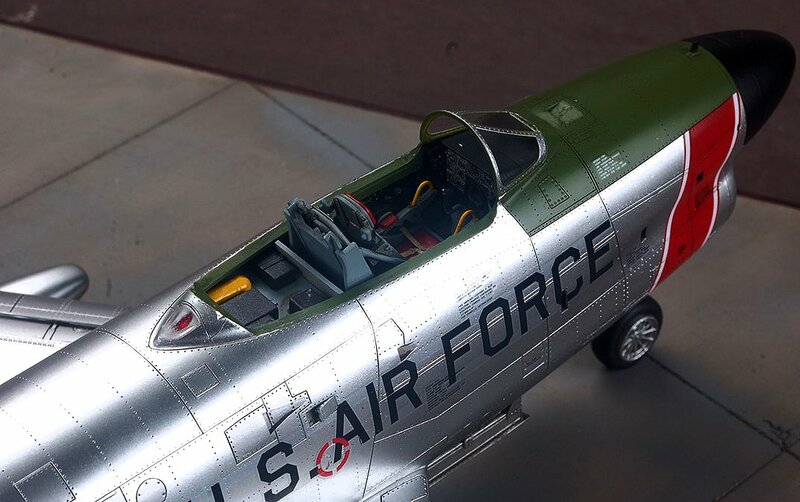 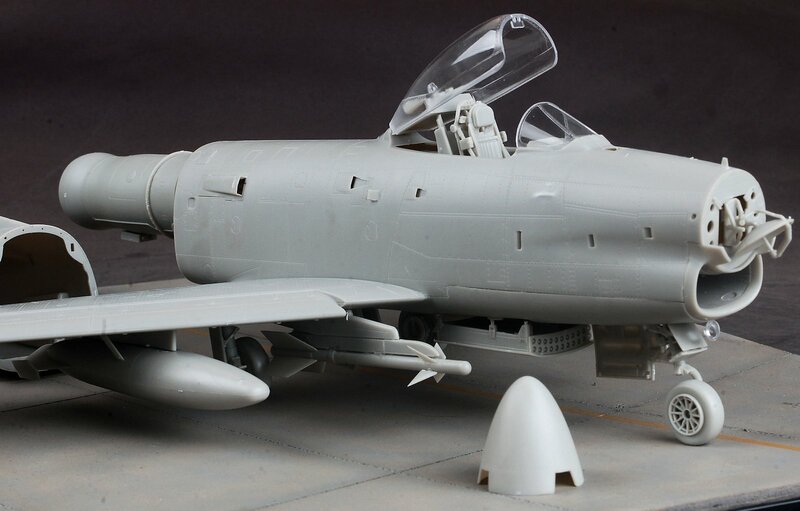 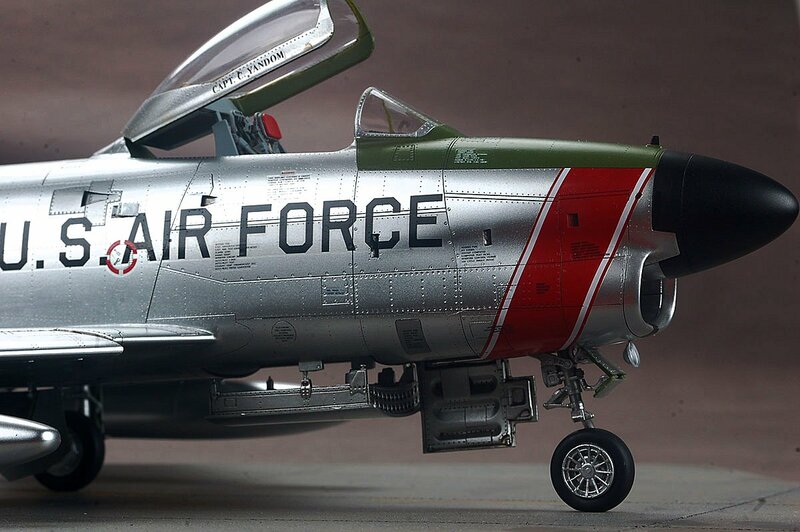 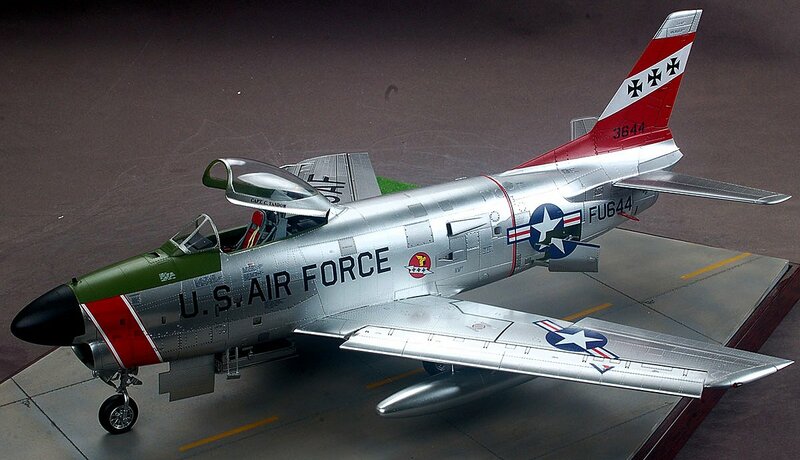 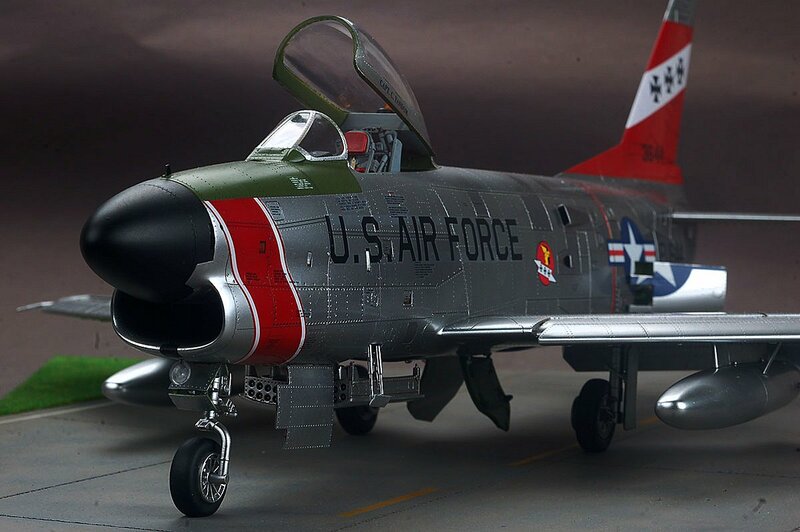 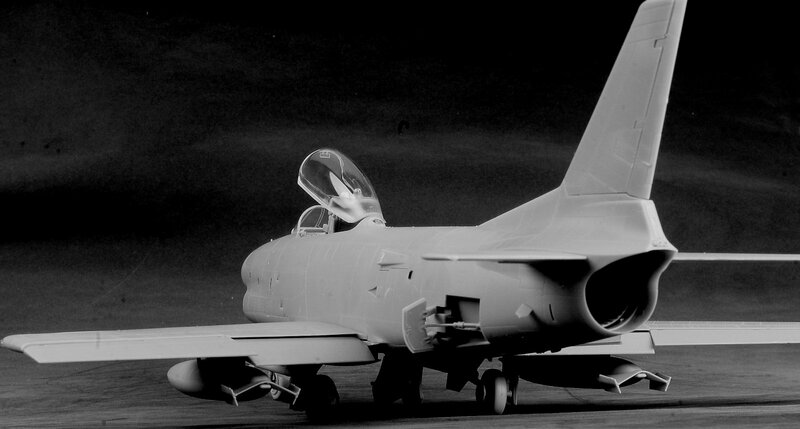 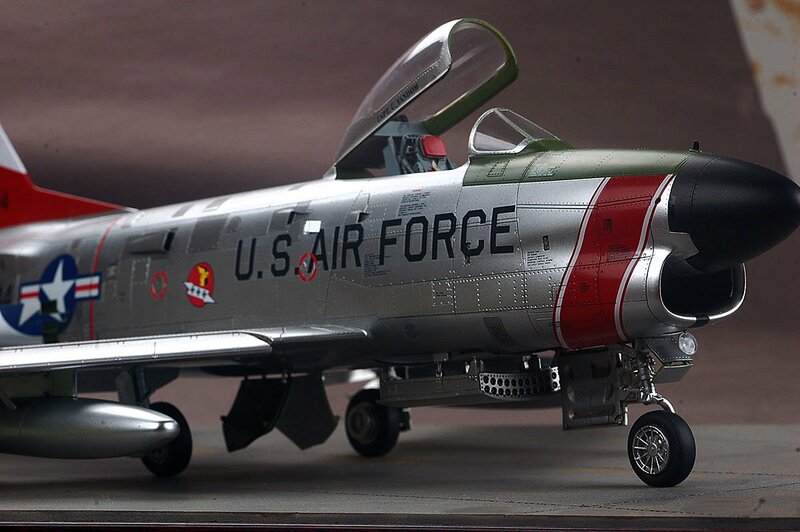 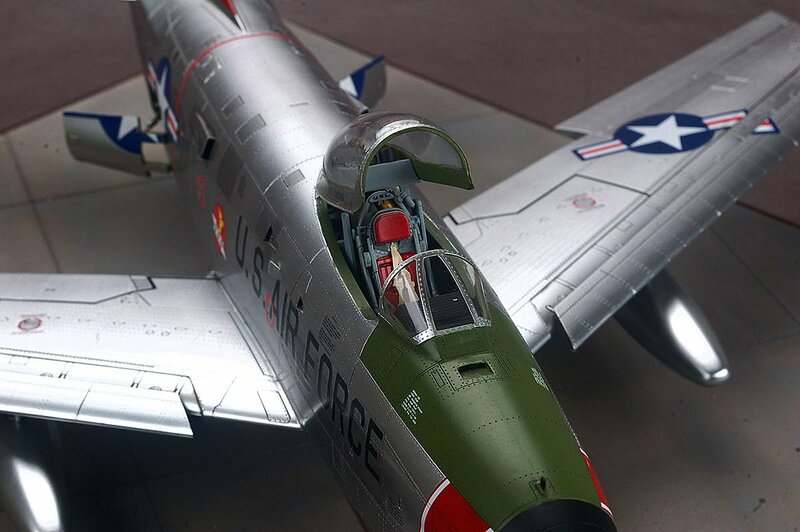 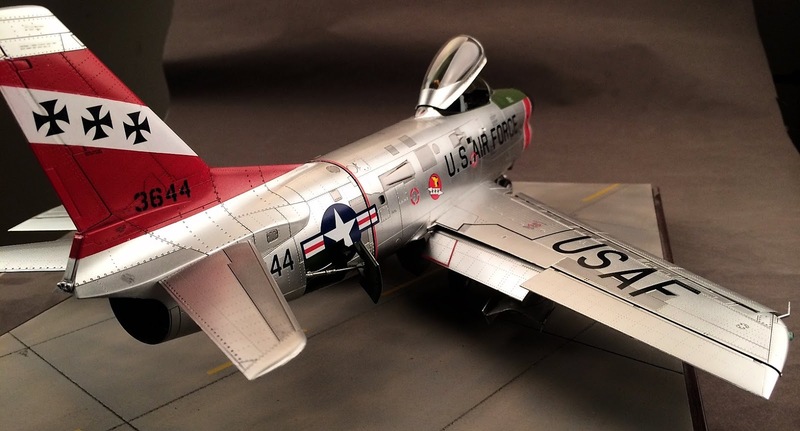 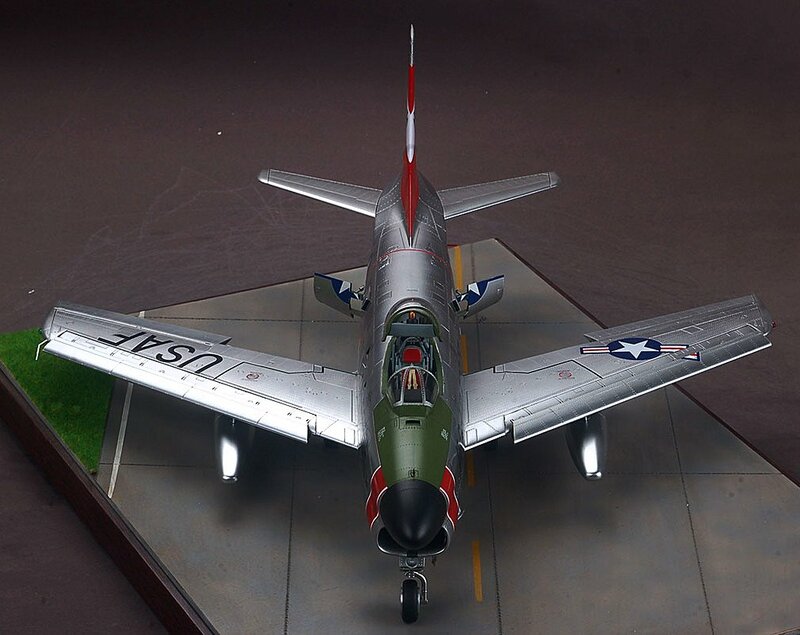 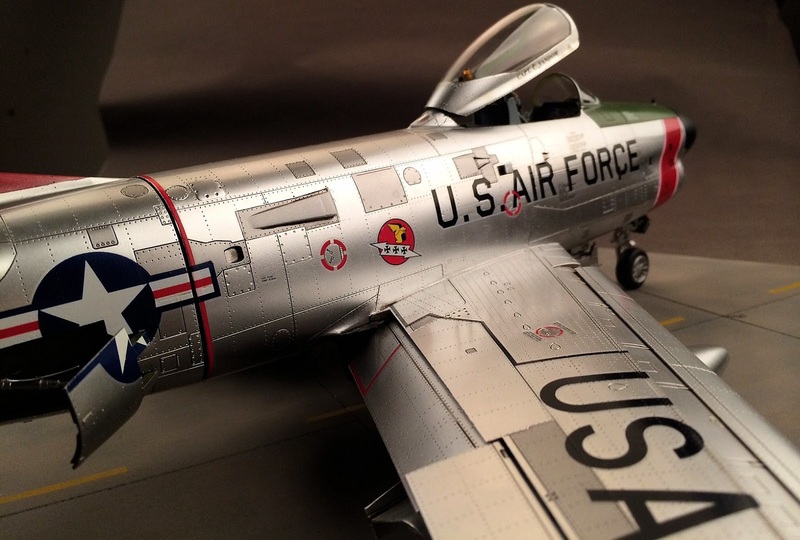 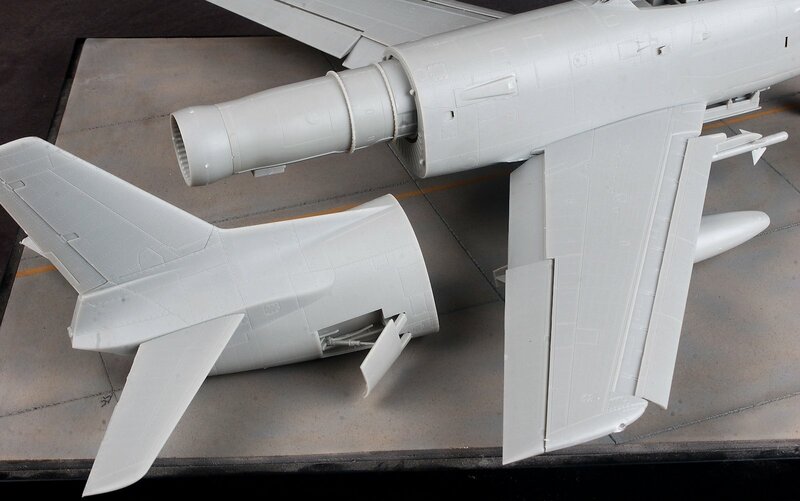 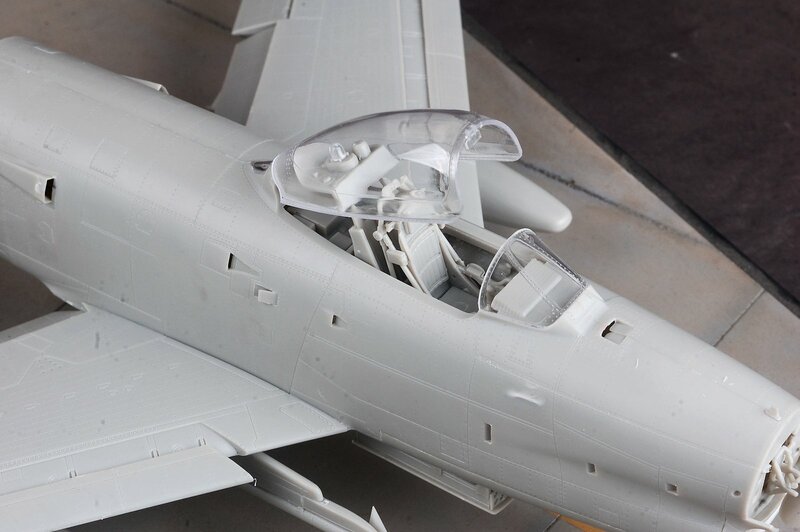 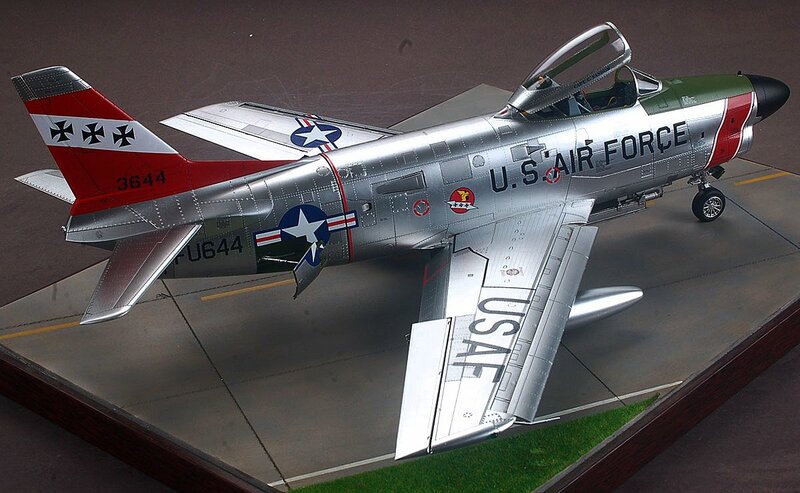 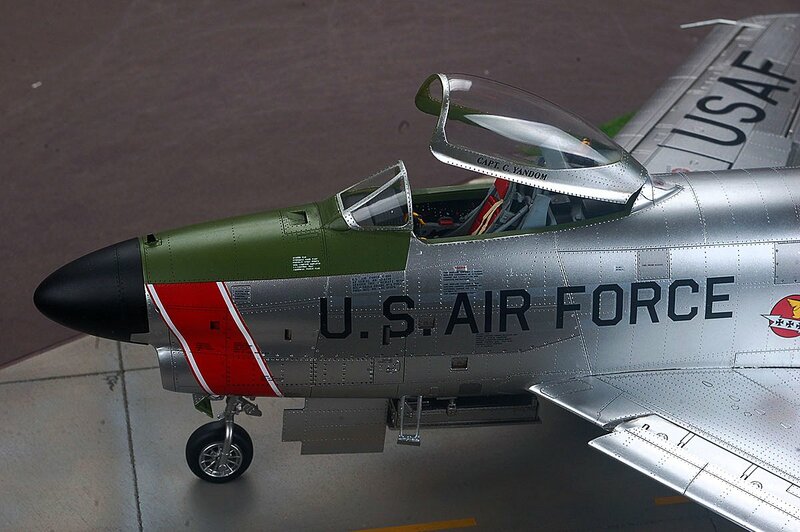 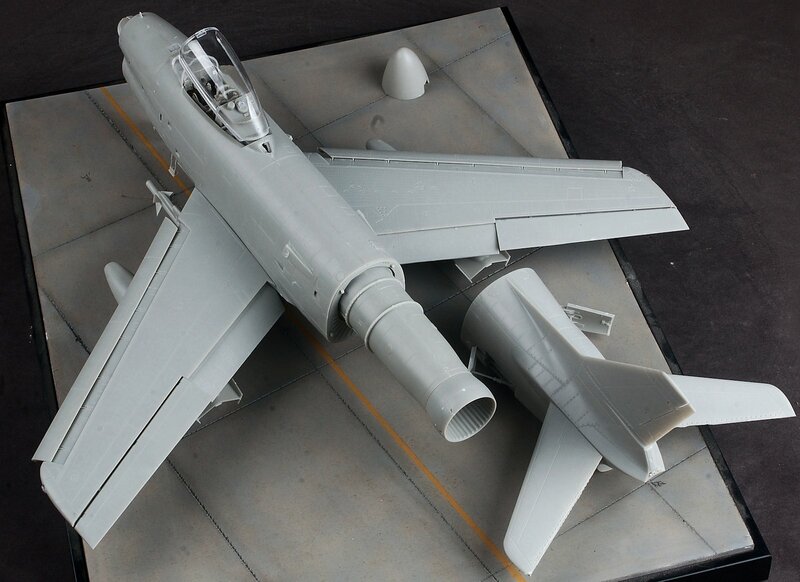 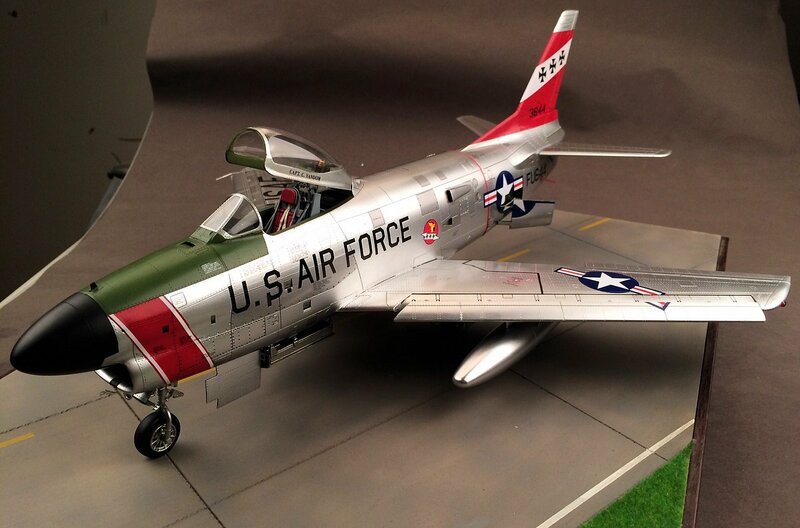 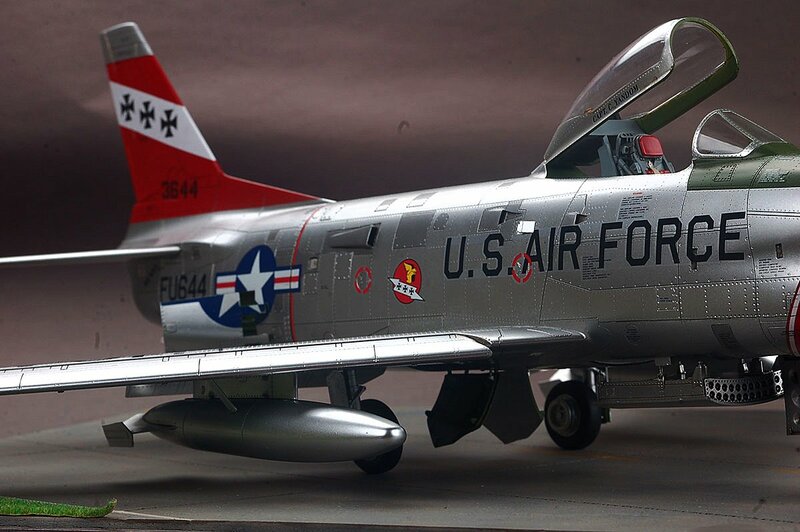 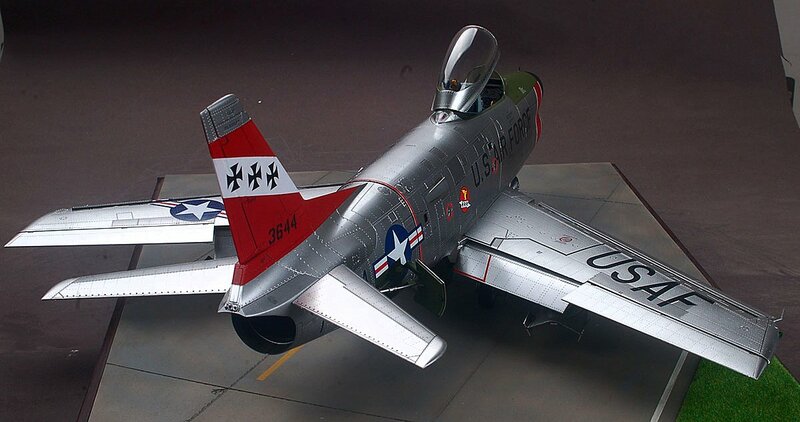 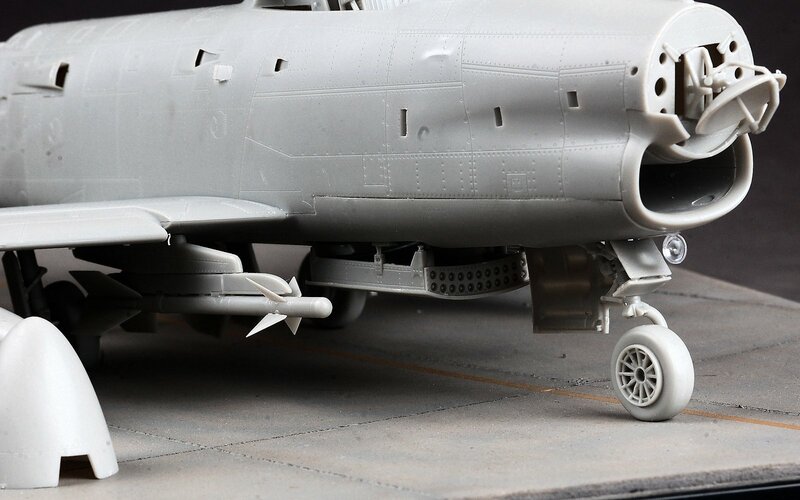 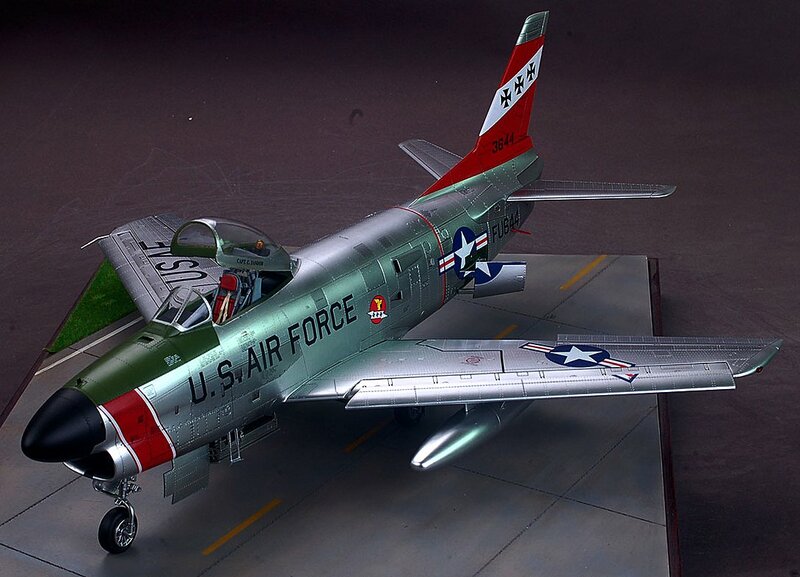 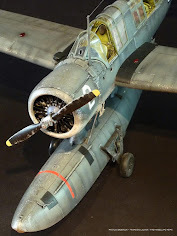 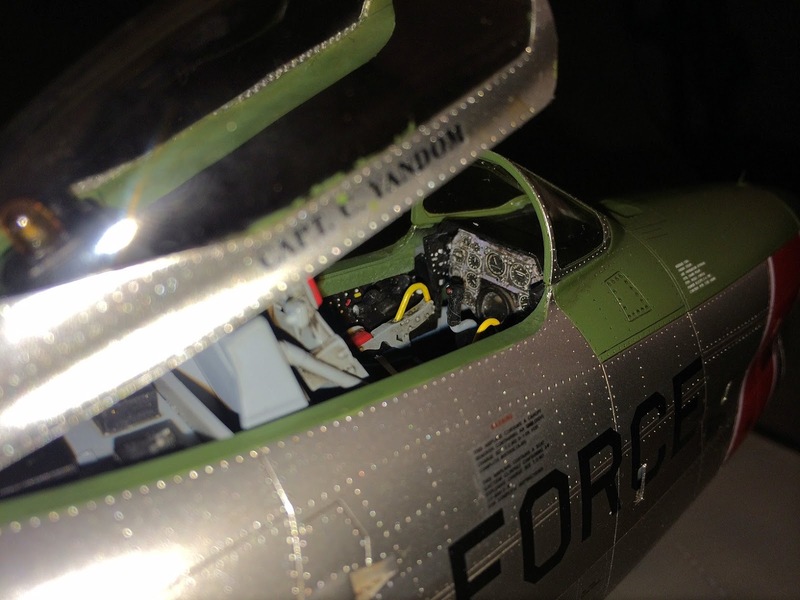 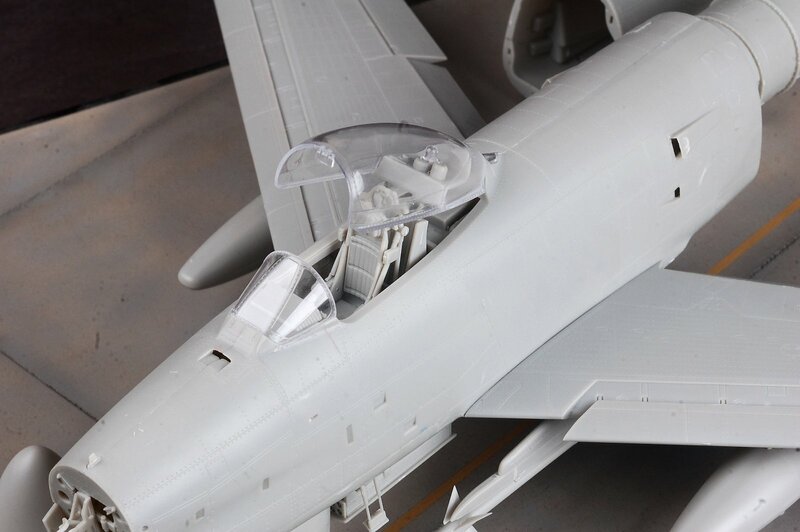 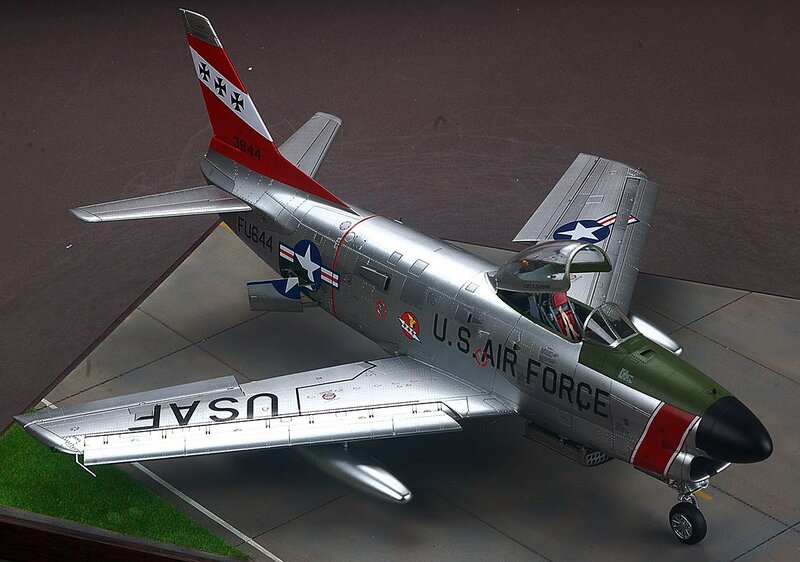 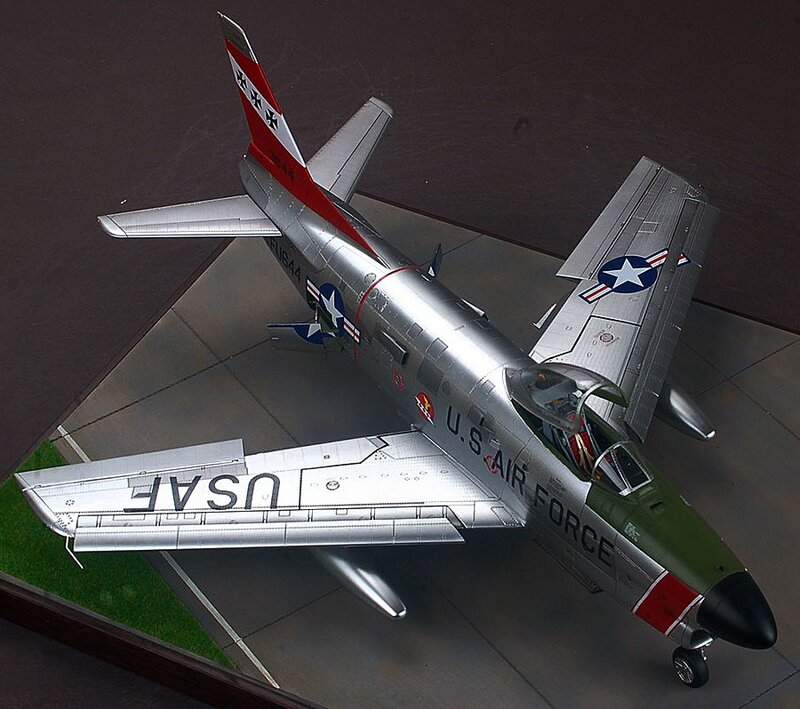 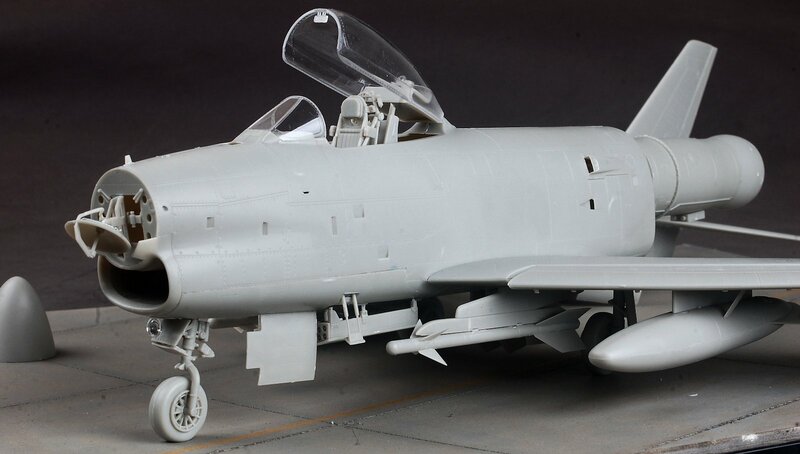 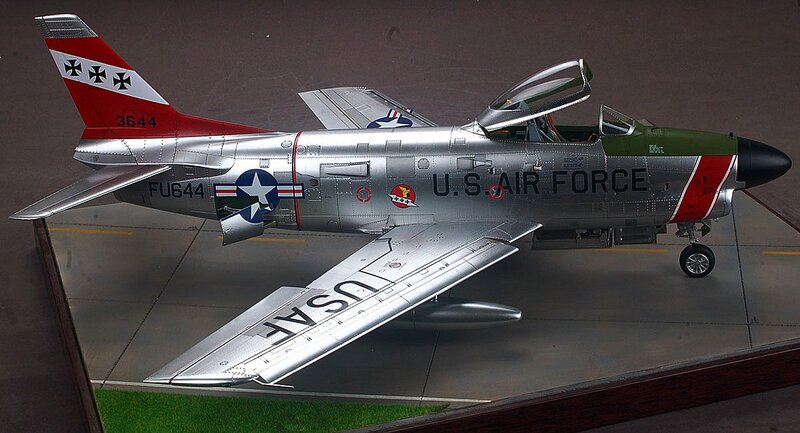 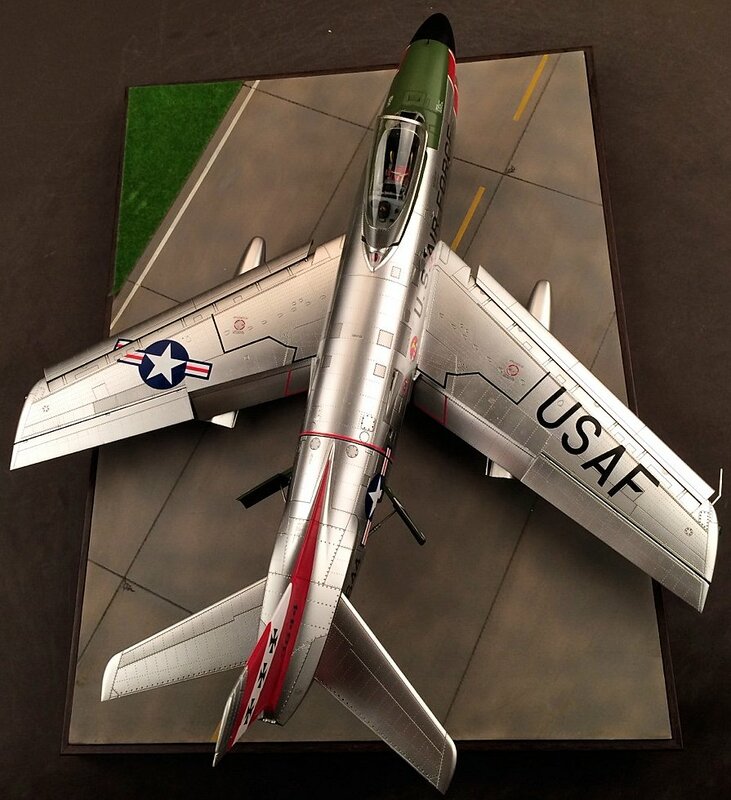 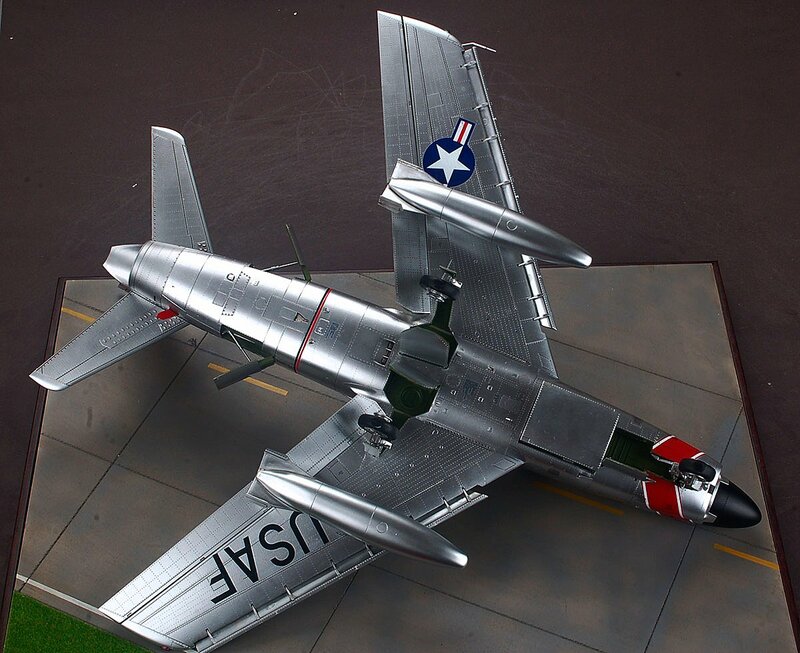 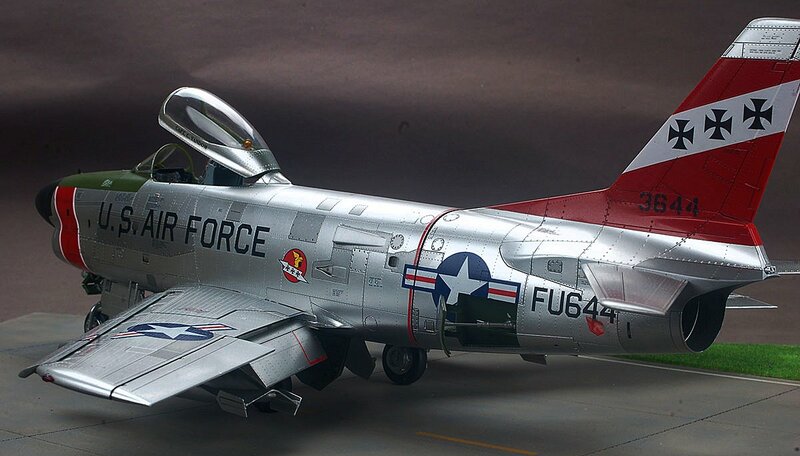 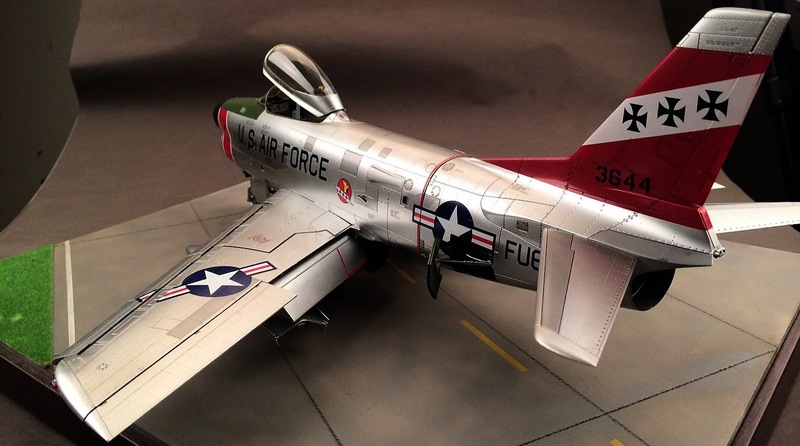 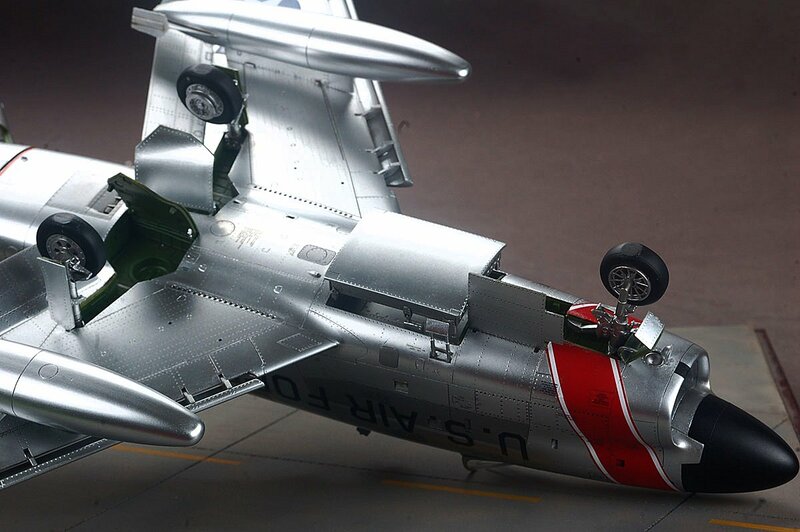 To their credit Trumpeter took up the challenge and the a bunch of newer model making companies have followed – now new companies with new ideas like Kittyhawk have given us yet another kit a lot of people wanted in the form of the 32nd scale F-86D “Sabre Dog.” A little on the specifications of the D model.. 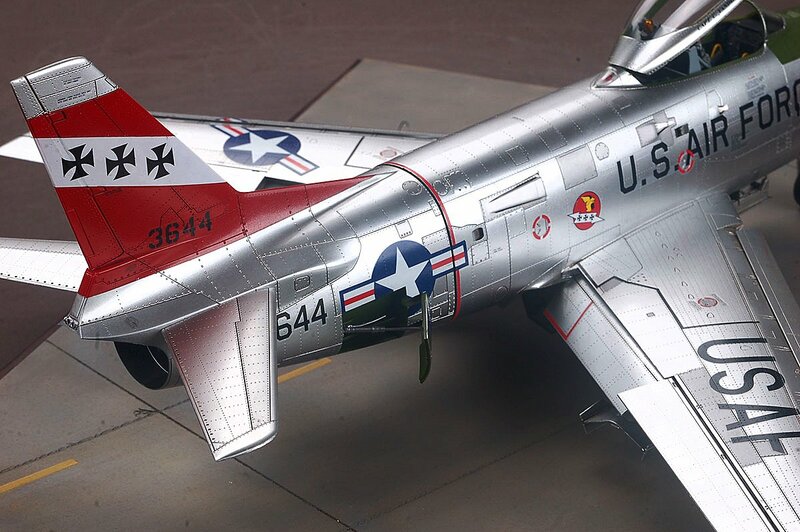 There are several colours this bird can be painted in. 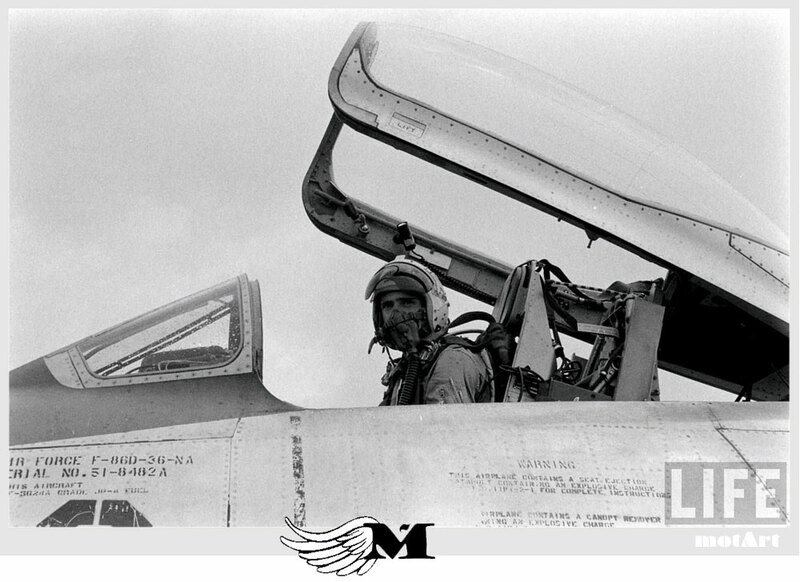 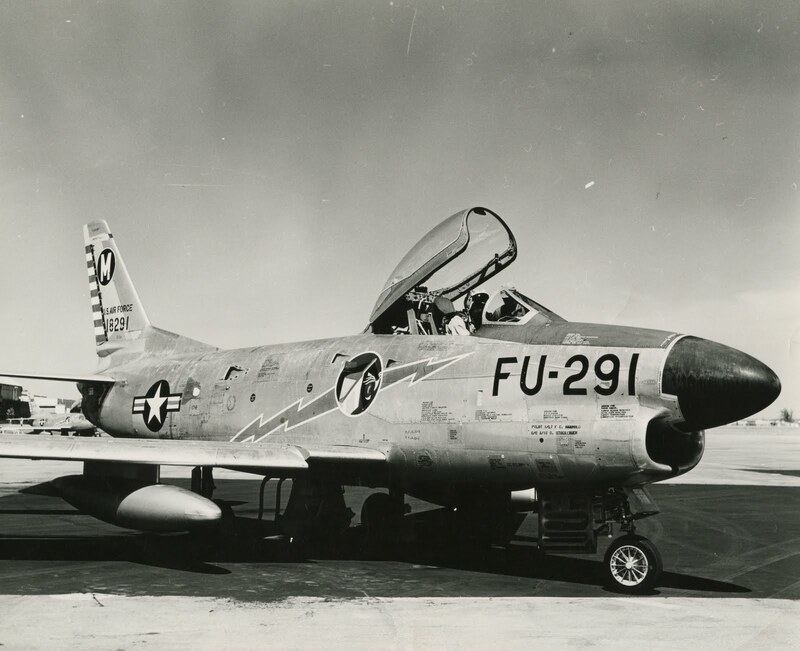 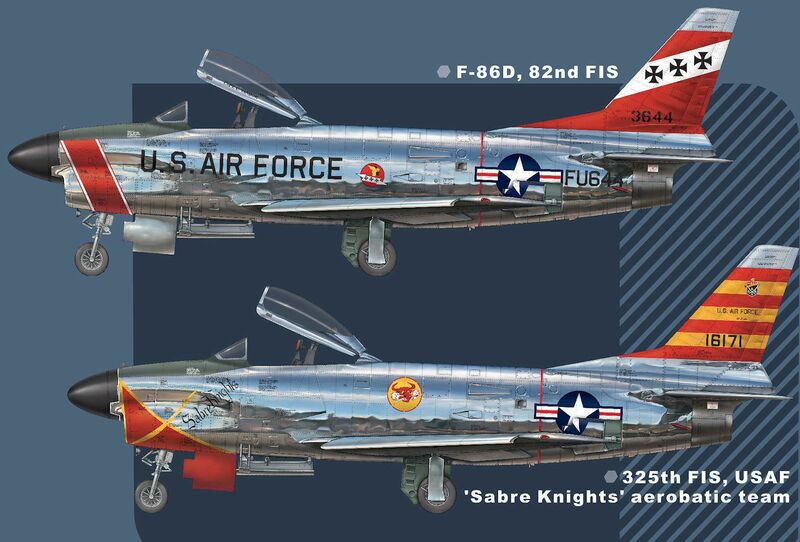 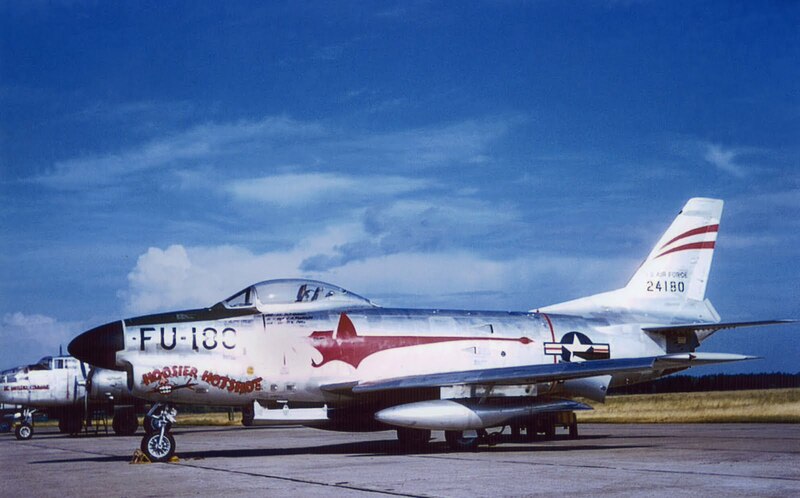 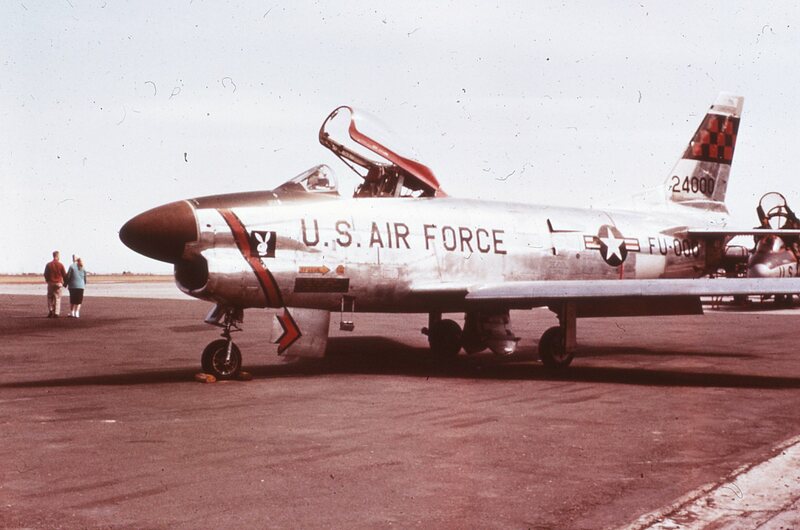 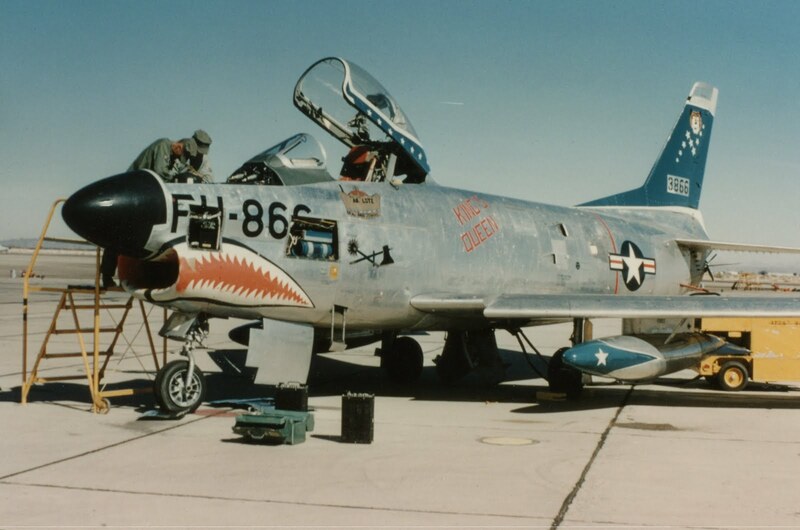 Although this is designated as the USAF boxing there are many countries and air arms that operated the type in several colours.. 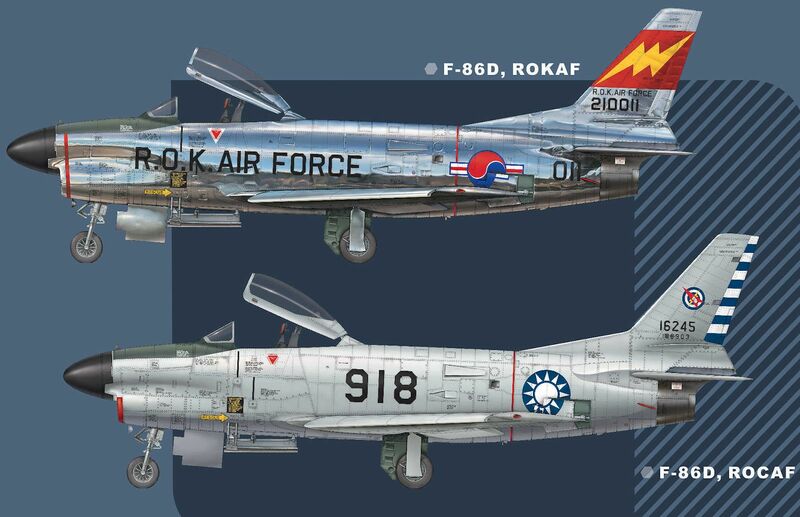 There are the six schemes slated for this boxing's release - very nicely chosen from a lot of countries and branches of service - this should get a lot of people worldwide interested and it is a smart move.. 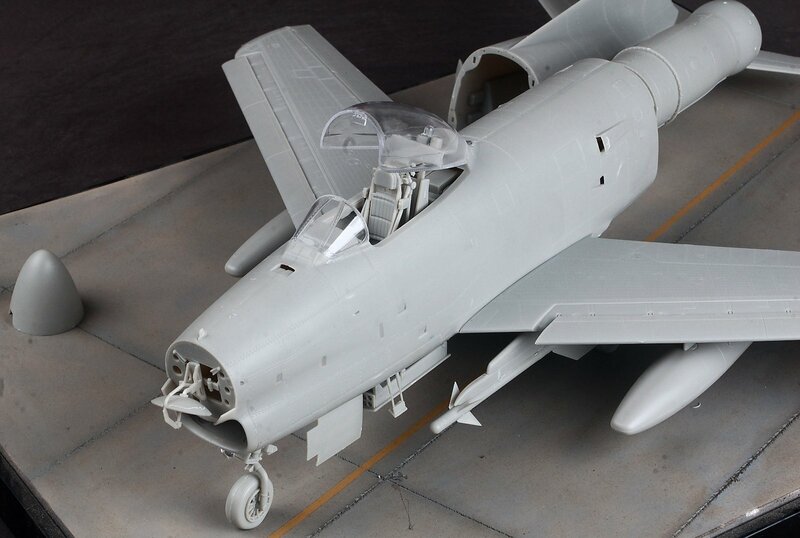 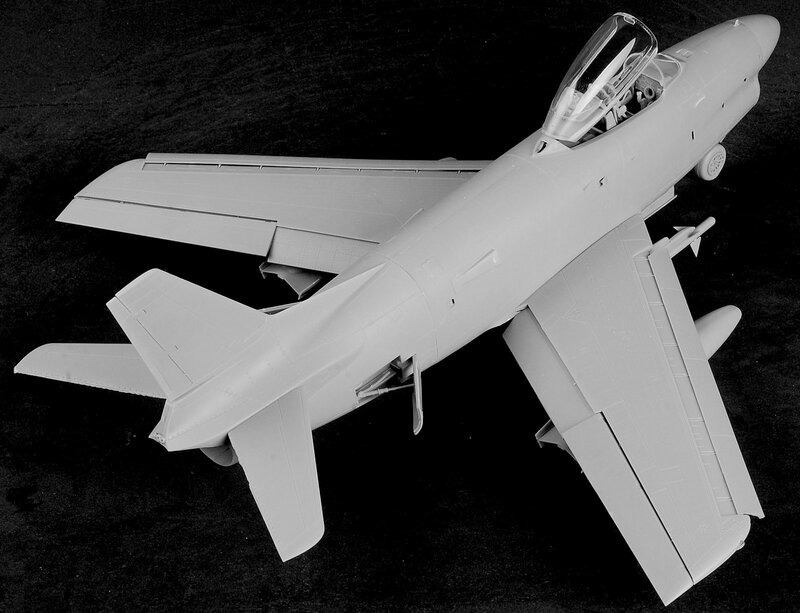 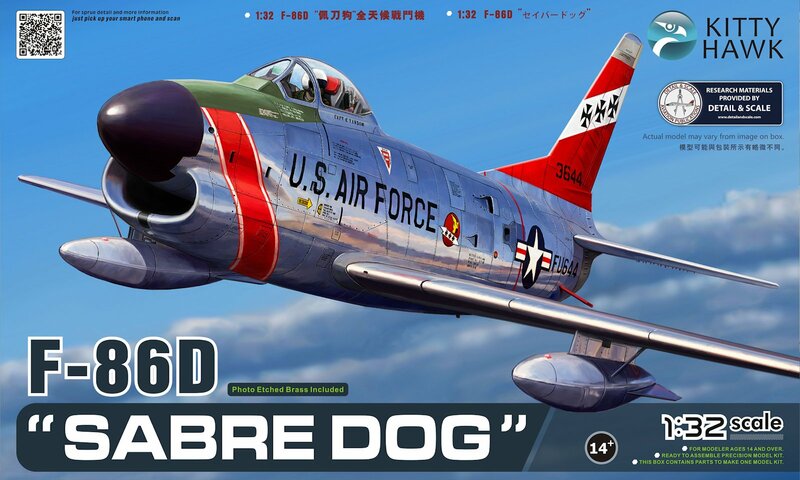 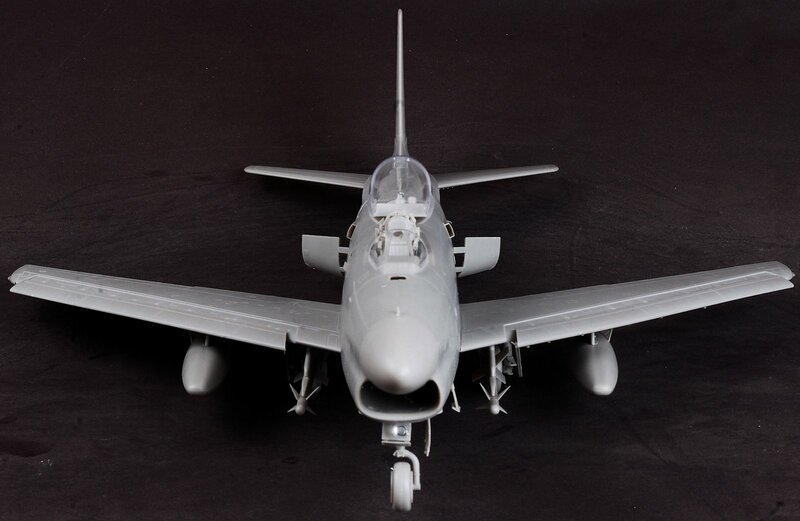 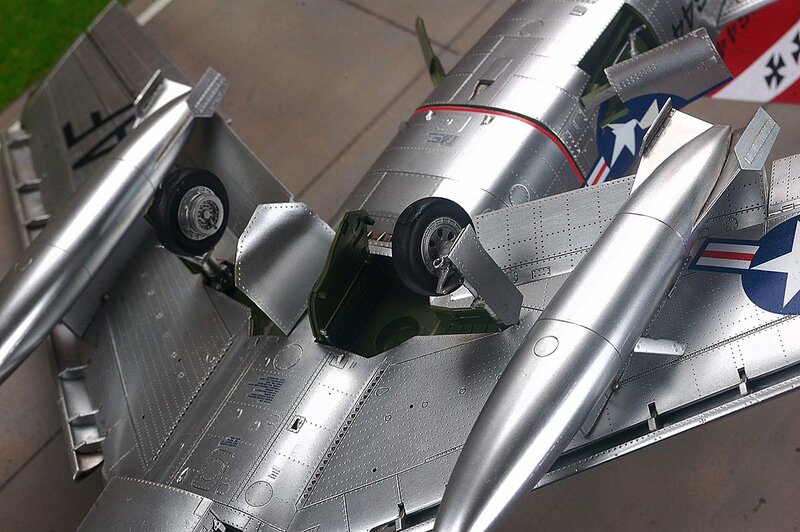 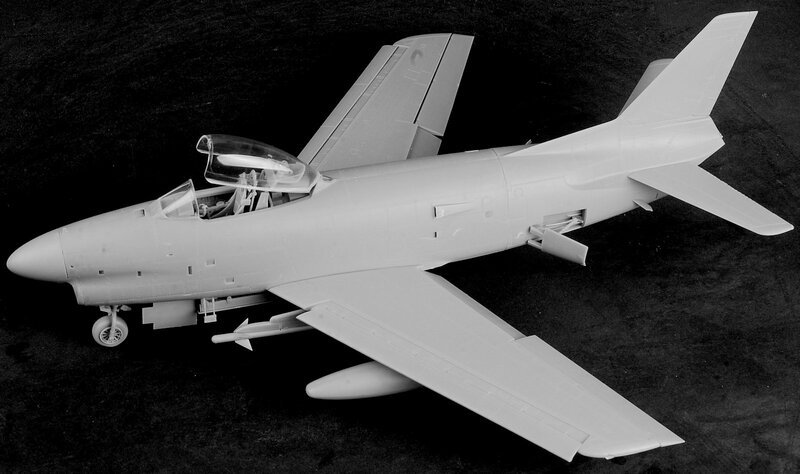 Here is the first built up Sabre Dog we have seen from Kittyhawk - it looks pretty good to us! 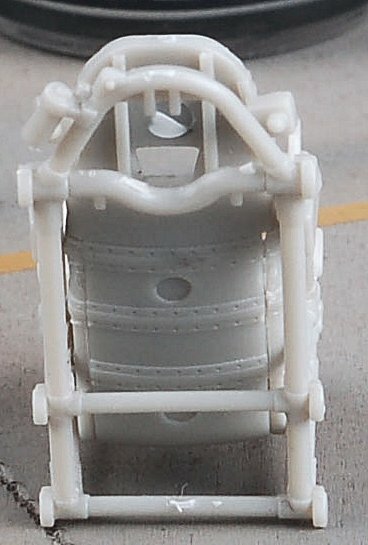 The cockpit is of course able to pose open and closed.. 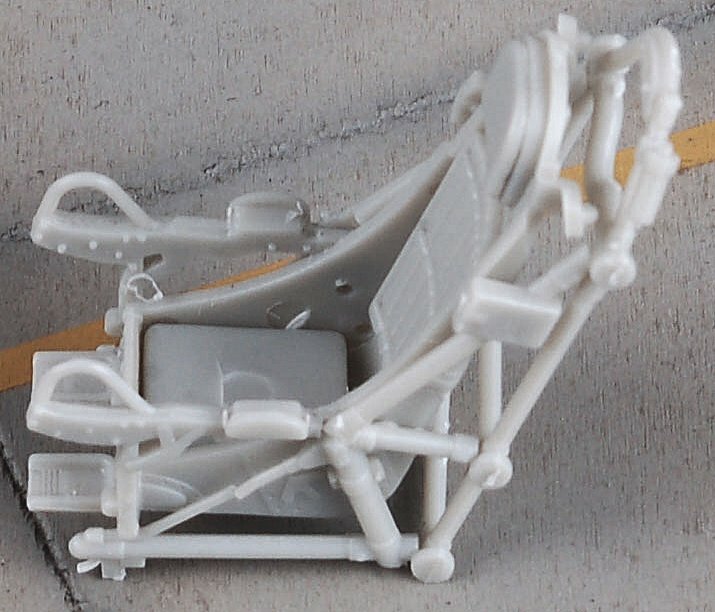 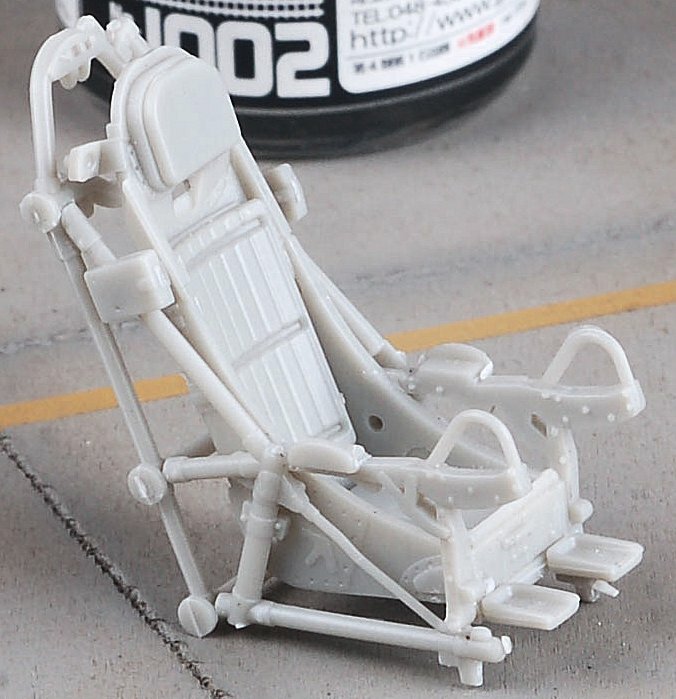 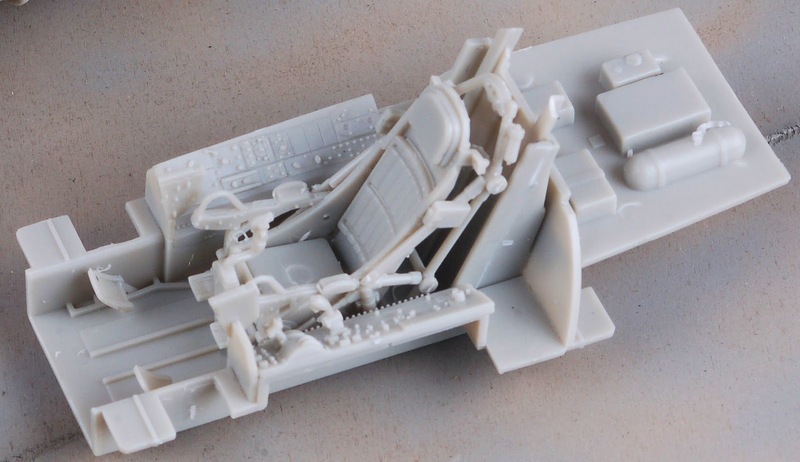 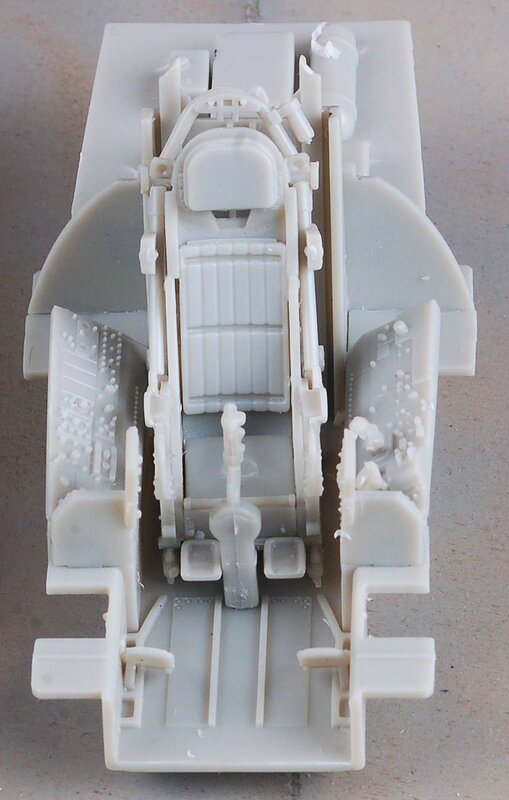 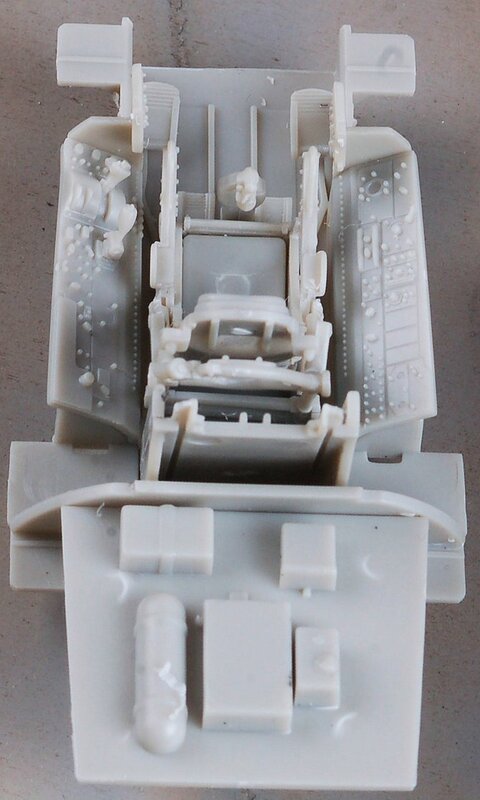 The cockpit tub looks like an improvement on the earlier Kittyhawk kits as well. 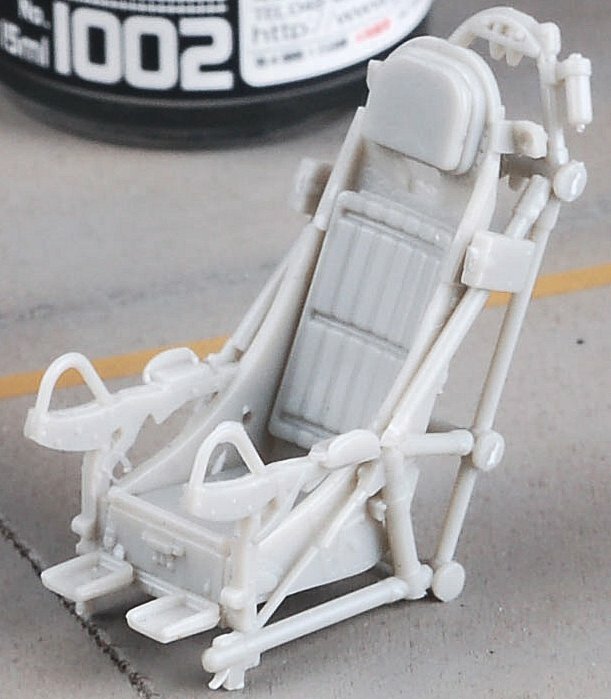 ..As does the ejection seat which is a little gem! 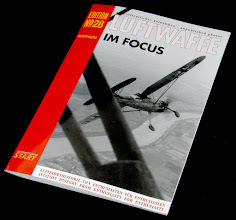 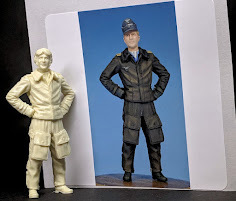 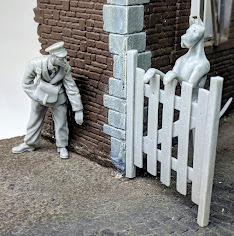 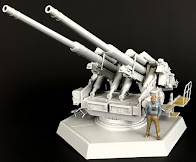 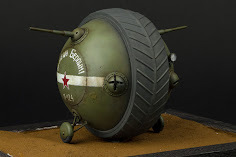 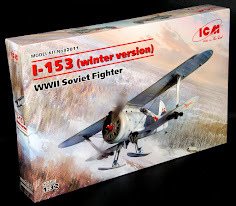 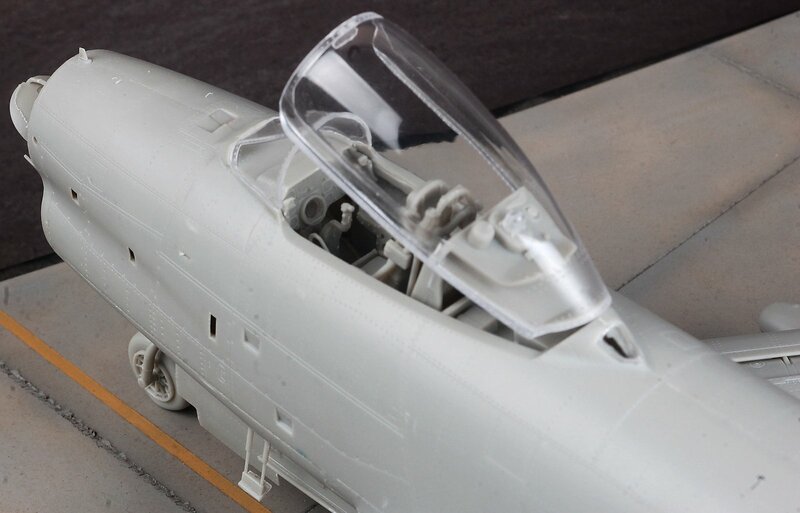 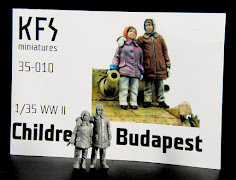 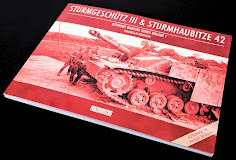 This kit will be available from KittyHawk’s Distributors around the end of February..